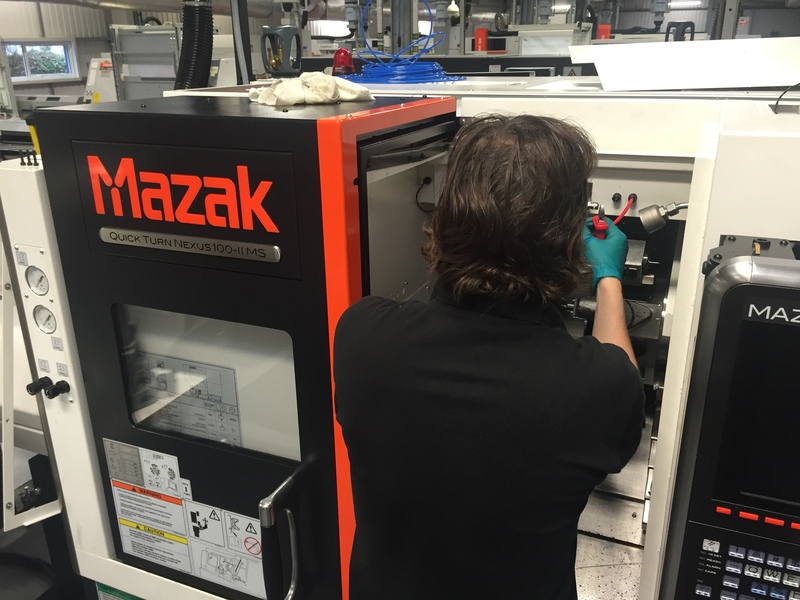 Our UK based service engineers have been factory trained at K&B Germany and at leading machine tool manufacturers works and can service all K&B systems (and similar ones) as well as carrying out retrofits to any make or model of machine tool. 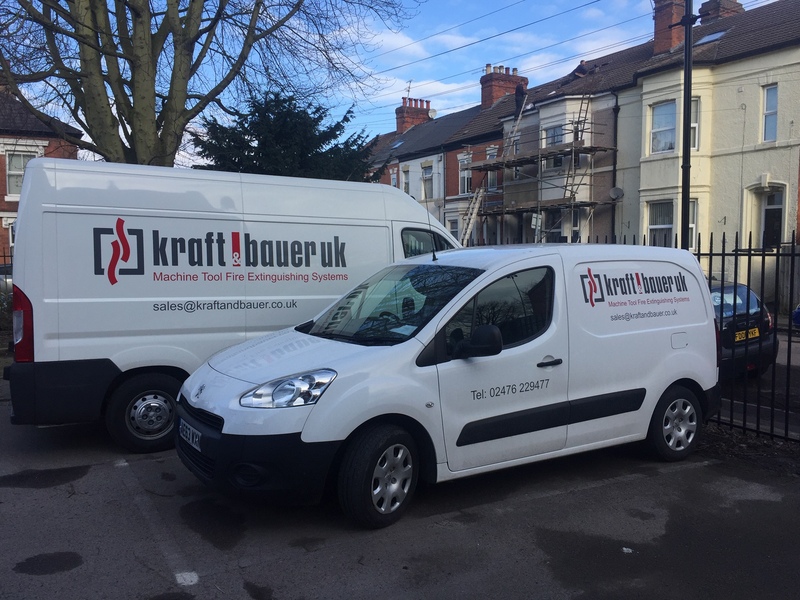 An annual service of a Kraft & Bauer system is mandatory and must also be re-done in case of any fire incident – even an accidental discharge. 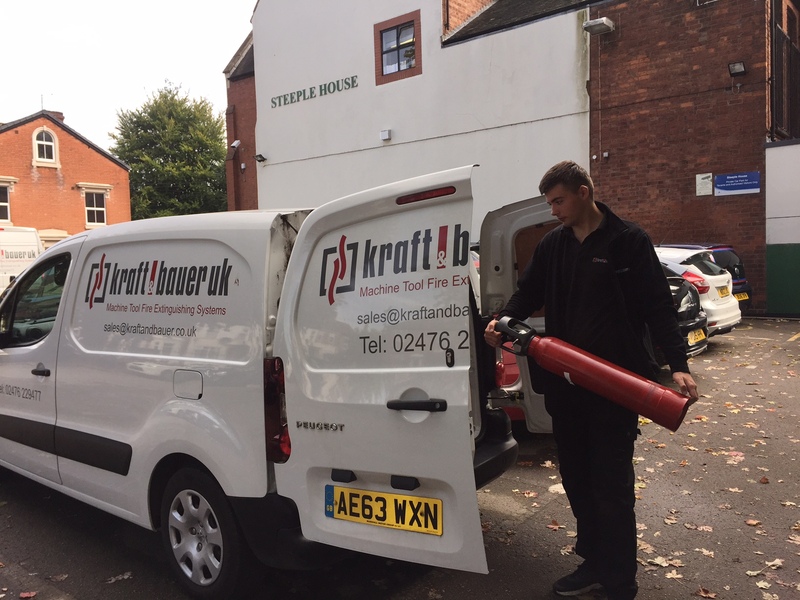 For a service visit in response to a breakdown situation or to book the mandatory FIXED PRICE annual service for your K&B fire protection system please contact us. 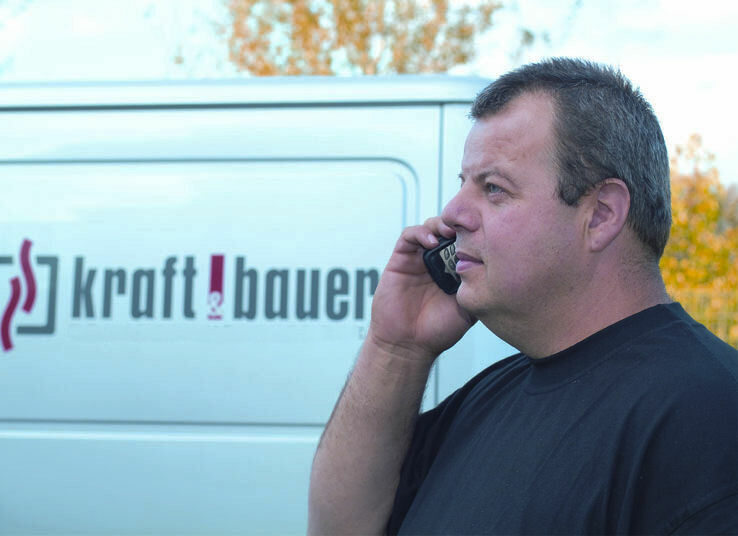 Kraft & Bauer UK holds a comprehensive stock of all spare parts to support our UK customers FB 703 and FB 704 systems. 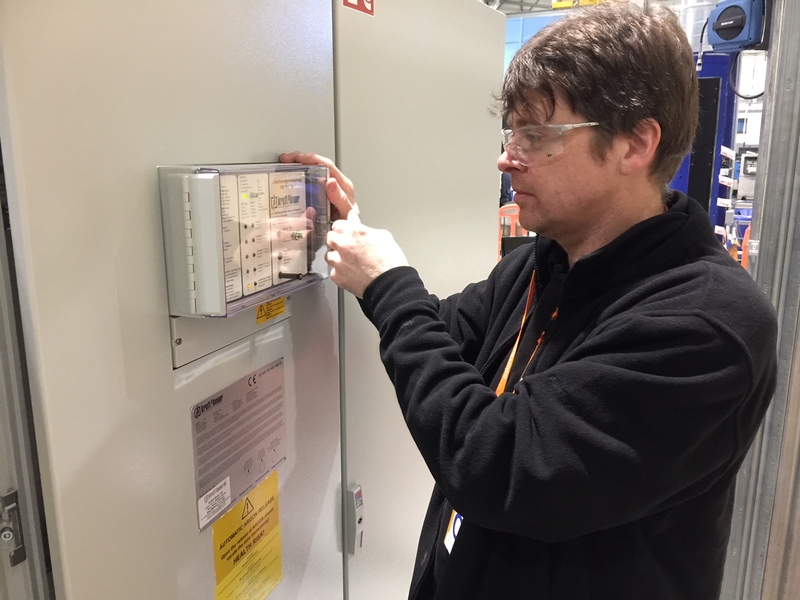 Infra-Red, Ultra Violet, and Heat Detectors are all available for same day / next day delivery from our works in Coventry as is every single component part including full control systems and replacement boards and relays etc. 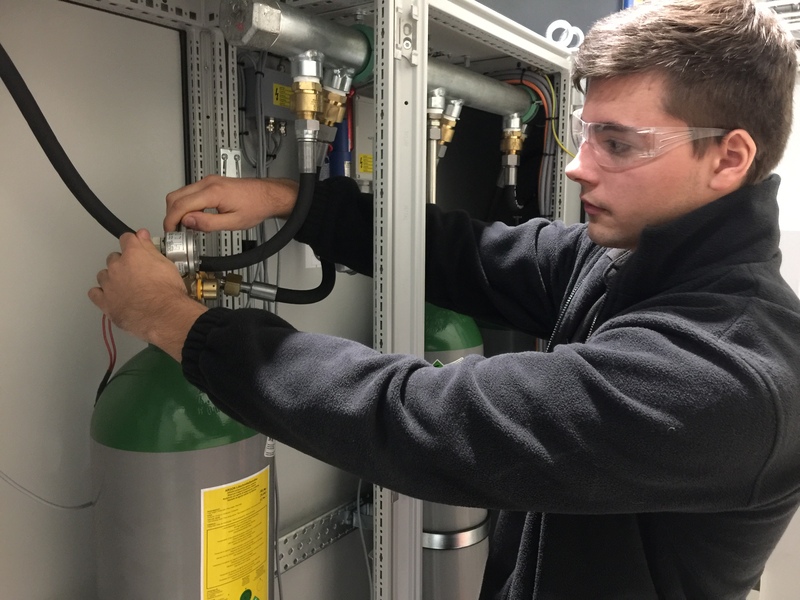 We also stock the most popular sizes of Co2 cylinders so in the event that you have had an incident and one of your bottles has been discharged we can get you up and running again with the minimum of disruption to production with a fast swap exchange service. If your particular size of cylinder is not in stock we also have a fast refill service for your Co2 and Argon cylinders.